WHILE SUPPLIES LAST. . . QUANTITIES LIMITED! As we are cutting Soft and Stable® for packages, we end up with a wide variety of odd-sized pieces or pieces with minor blemishes such as spots, runs in the fabric, and so forth. Though we cannot sell these pieces at regular prices, they are perfectly usable and would be perfect for small projects. 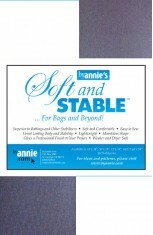 The small assortment contains over 6 yards of assorted black and white pieces of Soft and Stable®. Most pieces are a full 58/60" long and vary in width from 4" to 16". Occasionally we'll include larger pieces with minor blemishes. If you love to make purses, bags, placemats and more, these assortments provide a perfect opportunity to stock up on Soft and Stable® at a great price. 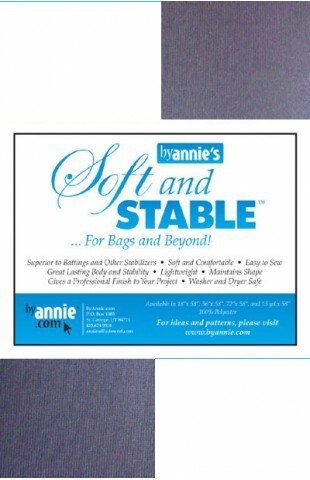 Why use ByAnnie's Soft and Stable®?